First Time Visiting Disney World? You CAN Do This! I know, I know. Seems shockingly impossible. 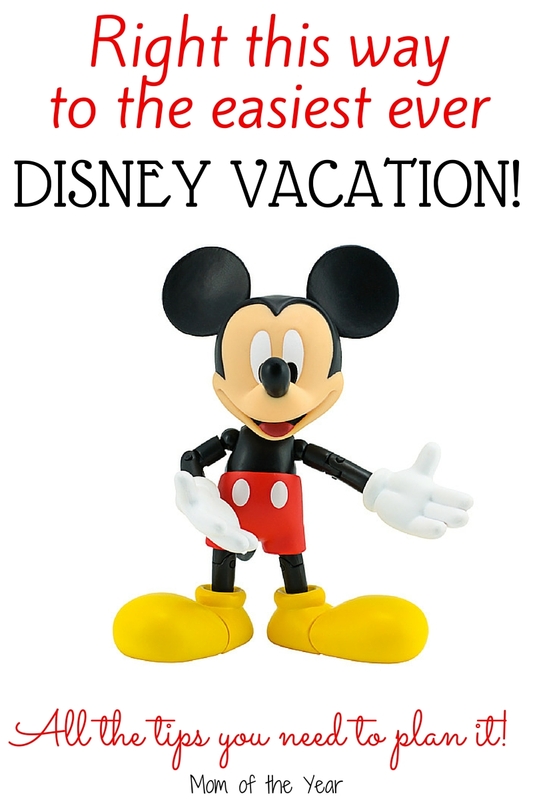 My poor culturally-deprived children will be accepting any and all sympathy cards and extra Halloween candy as condolences–but only for the next few months because here’s the bigger announcement: we are going to Disney World! In my head, about a year ago when all our planning first started going down, I envisioned spending hours scouring the internet for the latest and greatest information. Our trip would be organized to a tee. There would probably be a large, over-stuffed binder, printed personalized agendas for each family member, and most likely, a sharp-looking visor I would rock cruise-director style. Then that silly little thing called life happened, and I now find myself a few short months before our trip with no binder and only a few, though very emphatic, attempts to pin relevant Disney tips to my Pinterest Disney board. In other words, I was crap-screwed. You see, that whole spare-time-to-plan-our-trip bit is eluding me, so I’ve got to get the real scoop, all in one place. I need to have my questions answered quickly, directly and from a source I trust. These books are written by experts who make it their goal to give you “honest and outspoken advice”. They’ve been publishing these guides for years and really know their stuff. 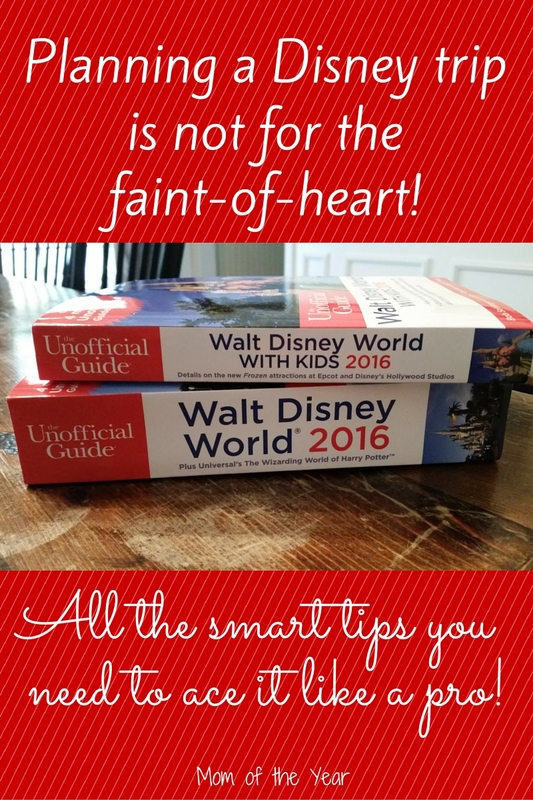 The Unofficial Guide to Walt Disney World explains how Disney World works and how to use that knowledge to make every minute and every dollar of your vacation count. With advice that is direct, prescriptive, and detailed, it takes the guesswork out of travel by unambiguously rating and ranking everything from hotels, restaurants, and attractions to rental car companies. The 2016 edition has fabulous new trip planning tools and is completely re-organized for easier reading. It includes an excellent new trip planning timeline, budgeting help, accommodation and restaurant reviews, transportation tips, FastPass availability charts and the latest on the expansions at Universal Studios Florida, including the new Skull Island: Reign of Kong attraction scheduled to open in 2016. Wow! That’s a whole of smart how-to packed into two books. Can you see now why I’m so delighted to have found them? 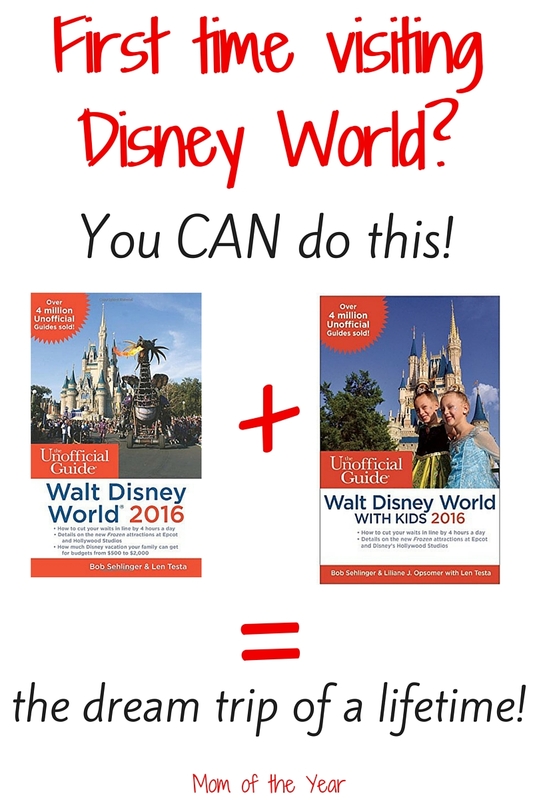 They’re the resource this too-busy mom needs to make the most of her family’s Disney trip. That said, being that I’m tad neurotic about details, I did have a few (rather insane) questions left unanswered by the guidebooks, so I took them to my go-to resource on All Things Disney, my sister. She has been there, like 100 times in the past few years. Or maybe it’s been closer to two or three times, but either way, I figured she should have the scoop. As you can tell by the fact that she is so entirely annoyed at obviously delighted with me for making asking her to do this interview, she was amazed by the insight of my questions. Look at her face in the thumbnail below–so perfect I can’t stand it! She also isn’t worth much because she knew the answers to basically none of my hard-hitting inquiries. Meh. Oh well, watch the video and MAJOR BONUS POINTS to you if you know any of the answers. In the meantime, I’m digging into my books a little deeper and strongly recommend that if you have a Disney vacation on the horizon, grab a set for yourself and do the same. 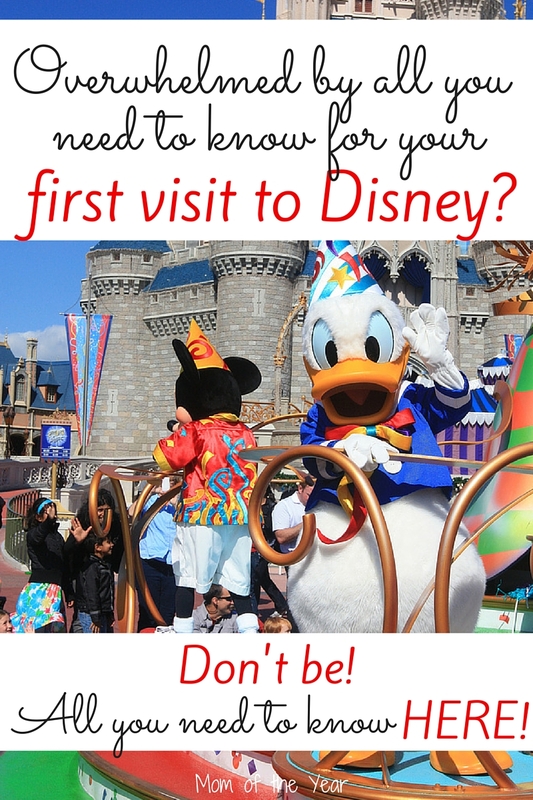 The countdown to meeting Mickey is ticking down, but we can school Walt Disney World, friends! We too can be fantastically organized Disney people–with or without the snazzy director visor. Totally your call. **One of the Unofficial Guide authors, Liliane Opsomer, was so very kind and also sent me a copy of The Unofficial Guide: The Color Companion to Walt Disney World, for which she was one of the photographers. This book is a gorgeous way to get the whole family super-excited for your Disney trip and I strongly recommend it! Thanks so much for sharing in the excitement with me, Janine! I should connect you with my daughter, Jennifer, she & her family are die heart Disney fans & have even been to the one in Hawaii. Let me know if you want her email address, she would be more than happy to share tips with you. I’ve been to Disneyland, but never Disney World. Make sure you post about your adventures so I’m more confident to take the plunge myself! Meredith, I am sure I will be sharing lots and lots about Disney! Love that you’ve hit Disneyland! What fun! Can’t wait to see all the pictures!! There will be LOTS, I’m sure! we just had our first trip to disney world last february. we travelled with my parents who had taken my nephew a few times so they knew the ropes and thank goodness because in my true procrastination form, couldn’t even begin to start researching until a few months before we went. luckily my mom had booked all the must sees well in advance of 6 months as we wouldn’t have been able to do them otherwise. character breakfasts, meet and greets and what not. its so awesome and you will enjoy it no matter what you have planned or not planned. its so magical and happy.